Over the past couple of years, I’ve dedicated this site to informing people of the latest in social media communications. Much of this content is based on my own knowledge and real-world experience. But for this post I’d like to try something different. Introduce a perspective other than my own. 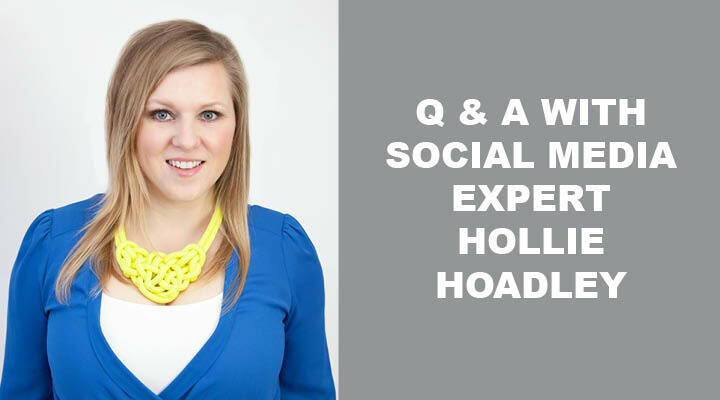 Hollie Hoadley is the founder of Creative Solutions, a company that provides social media and marketing expertise to a diverse group of clients. Hollie knows a lot about social media marketing strategy. A creative sparkplug, she has helped her clients achieve marketing success in a medium that, though rewarding, can be full of potential pitfalls and challenges. A: It depends on your goals. If you’re goal is to increase sales, you want to measure the amount of money you’re making as a result of social media. If you want more visibility, then overall web traffic becomes an important metric. To be successful on social media, you need to set realistic goals and then meet those goals. Q: Tell me about a client success story. What did you do? A: We created a marketing plan for a new event that led to more than 3,500 people attending. We achieved this by setting very specific goals that centred on event attendance. We relied heavily on social media, especially using social media influencers and bloggers to get the message out, and got a lot of media coverage and built relationships across the social networks. Q: Do you recommend that writers and bloggers use image-based platforms like Instagram for marketing? A: 100%. If you use images for your articles, which most bloggers do, then you should absolutely post these on Instagram or Pinterest. Every little bit of exposure helps. Q: What do you consider the most undervalued social network for marketing? A: Twitter. 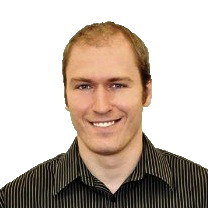 I think Twitter is somewhat counter-intuitive and can be frustrating for many businesses. Many people don’t understand the hashtags and utilizing influencers, both of which are essential for Twitter success. With Twitter, as with other social networks, you need a strategy and plan in place to be successful. Q: Not everyone’s sold on social media. What do you say to those people, particularly managers? A: Well, I think that’s quickly changing. But what I’d tell those people is that they got to go where their audience is, which usually means one or more of the social networks. You have to have a broader reach. Plus, social media posts often rank high in Google search results. Q: Marketers need to do more of what to succeed? A: Less selling. Very simple. Think of it as if you’re meeting someone for the first time: you wouldn’t start selling before introducing yourself and building a relationship with the other person. It’s the same in social media. Q: What’s the future of social media? A: I think we’re going to see a lot more livestreaming. Networks like Snapchat will also grow in importance. Q: How do you get more people to visit your website? A: Marketing your website, whether through social media or by including your website in your email signature, etc. will increase web traffic. You should also look at what people are doing after they visit your website. That is, what are you doing to get people to come back? For continued traffic, you need to stay engaged with your audience by email and social media. Learn more about Hollie Hoadley and Creative Solutions. What did you think of this article? Leave a comment below to further discuss! SIGN UP for my email list to receive my latest posts on communications and social media! Posted in Social Media and tagged hollie hoadley.